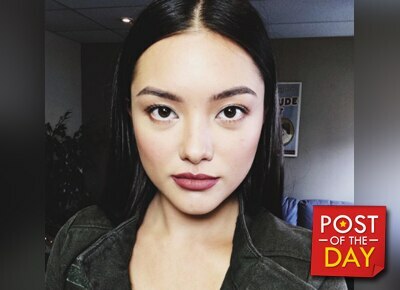 Showbiz newbie Lauren Reid already has her fair share of bashers. The Fashion Pulis blog posted a screenshot of a netizens’ comment which narrated how James Reid’s sister was supposedly giving JaDine fans attitude. 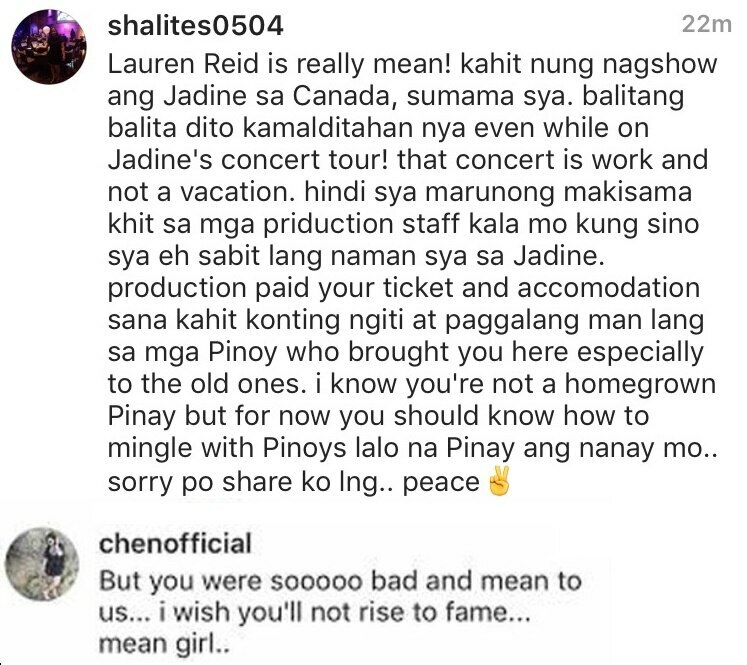 A certain “shalites0504” on Instagram said that Lauren was a “maldita” during the JaDine’s world tour concert and that she should keep in mind that what she was there for work and not a vacation. “I know you’re not a homegrown Pinay but for now you should know how to mingle with Pinoys lalo na Pinay ang nanay mo,” she added.